Following his recent tour of Alaska, United States President Barack Obama has called for the accelerated acquisition of new icebreakers for the US Coast Guard. Although it boasted a complement of seven icebreakers following the end of the Second World War, four operated by the US Navy, three by the Coast Guard, only three now remain at the US’ disposal. 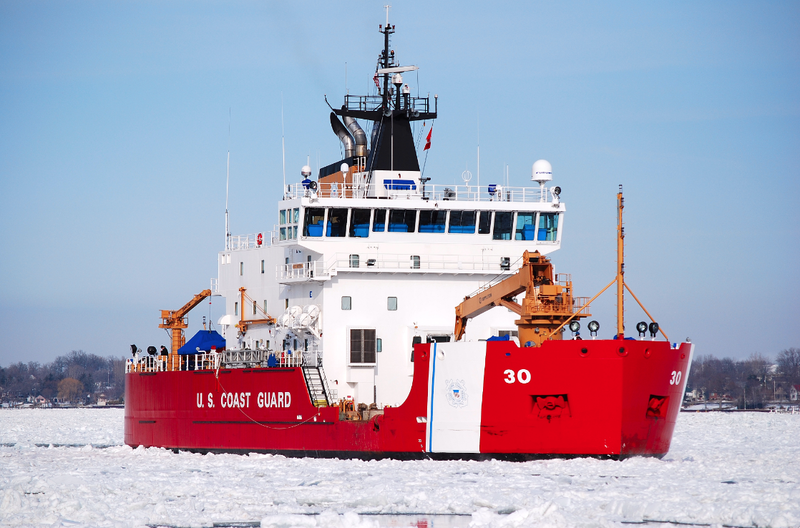 Of these, USCGC Mackinaw is the only heavy icebreaker, a class of vessel capable of passing through waterways packed by particularly thick ice, but it is employed in the Great Lakes rather than the Arctic. The Obama Administration had originally proposed dedicating $1 billion in 2012 to the purchase of state-of-the-art icebreakers for the Chukchi Sea and other Arctic waterways, but the necessary funding has been repeatedly stalled in Congress. President Obama’s post-Alaska statement indicates a renewed push to see a second heavy icebreaker built sometime between 2020 and 2022, along with additional medium icebreakers. If the political deadlock on this funding can be successfully broken, the US would once again become a significant player in the Arctic. Congressional Republicans might feel increased pressure from their Alaskan colleagues on this issue, as the Alaska Republican Party Chairman expressed concern in a recent statement about the long wait for new icebreakers. 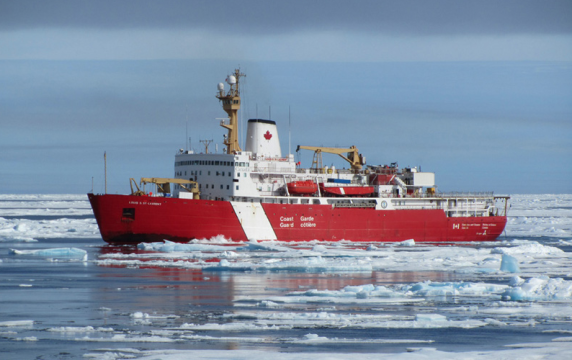 Canada, too, is struggling to field icebreakers capable of securing Arctic waterways. In 2013, Seaspan ULC’s shipyards, which are located on the British Columbian coast, were awarded the contract to build CCGS John G. Diefenbaker, a state-of-the-art heavy icebreaker for the Canadian Coast Guard. But the early retirement of the Royal Canadian Navy’s (RCN) two Protecteur-class supply ships and numerous other issues with the implementation of the National Shipbuilding Procurement Strategy (NSPS) led to orders from Canada’s Department of National Defence (DND) to prioritize two new Queenston-class support ships. Therefore, CCGS John G. Diefenbaker is not expected to reach completion until 2022. CCGS Diefenbaker could traverse the distance between Halifax and Iqaluit in approximately five to six days. As a heavy icebreaker, this vessel would certainly have the range to make seasonal voyages between a West Coast port like Esquimalt and the coastline of Canada’s Western Arctic without needing the support of a naval base or significant refueling facility in Tuktoyaktuk, Northwest Territories. Although international shipping companies like Maersk have indicated that they view regular traffic through the Northwest Passage as something that will not be viable until the 2030s, the Canadian Coast Guard’s declining icebreaking capabilities have interfered with the operations of small shipping companies, like Nunavut Eastern Arctic Shipping or Nunavut Sealink and Supply, as well as scientific expeditions as recently as July 2015. Evidently, there is a need for CCGS Diefenbaker or a similar vessel in the immediate term. An option worth considering is the acquisition of medium icebreakers internationally as a stopgap measure, though this would admittedly be quite expensive. When Canada’s currently two largest icebreakers, CCGS Louis St. Laurent and CCGS Terry Fox, were undergoing maintenance and resupply prior to deployment on a sovereignty mission, the smaller CCGS Amundsen was called upon to complete much needed icebreaking in the eastern Hudson Bay in the summer of 2015. Chile’s current icebreaker, Almirante Oscar Viel, is nearing the end of its operational life. Having begun as a Canadian Coast Guard icebreaker, the vessel was sold to the Chilean Navy in 1994, and so the search is on for a replacement. With a growing market for new icebreakers, shipyards like Uki Workboat, which has recently built icebreakers for Finland and Estonia, or Tangen Verft, which produced Norway’s Svalbard-class, could be interested in competing to produce medium icebreakers on a tight schedule for Chile, Canada, and other emerging buyers. The Canadian icebreaker CCGS Louis St. Laurent. 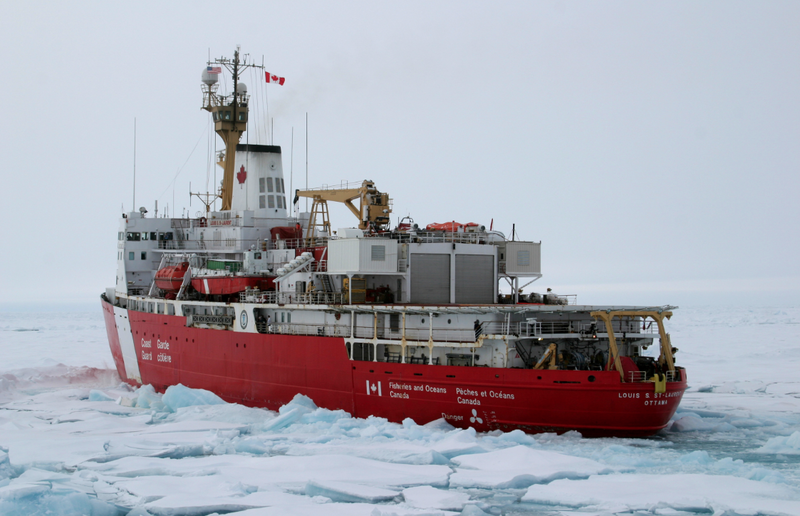 Further delays to the update of Canadian icebreaking capabilities will mean Canada is gradually outpaced in the Arctic. As Obama’s Alaska visit in September 2015 highlights, there is political will among other circumpolar countries to seize on the region’s economic opportunities. The chill of the Chukchi Sea may have turned Shell away for now, and Maersk may be cold to Arctic shipping, but the 2030s are not that far off and Canada must be prepared for the next spark of global interest in the region. New Security Challenges in Eastern Europe: new or old and forgotten?